As the advertisements and commercials have made quite clear, the holiday season is just around the corner. Now is a great time to start thinking about how you can use your photographs to make creative gifts, cards, and artwork. This article will cover some of the most common photography holiday gifts, and the second article in this series will provide an introduction and overview of some of the most common retailers to use when creating and ordering such products. Holiday cards have become one of the most popular uses of photography during the holiday season, and this is an important one to start thinking about early. You want to have enough time to create, design, print, and receive your cards so that you are able to mail them when you want. Many companies offer a wide variety of formats and designs for holiday cards, including layouts for one to many pictures, space to add your own message, and even already created messages for many occasions including Christmas, New Years, Hanukkah, and others, even more general celebrations of the season or the year. Sites also allow you to upload and print your own designs or collages created through other software or applications. Family group shots or individual collages of the family members (human and animal alike) are very common for holiday cards. When taking a group picture for a holiday card, think about allowing space around the subjects for a design or text overlay. If you have time, you may want to browse card designs first to help you decide whether you want a horizontal or vertical image, for example. A formal, posed family shot works well for a holiday card, but you do not have to limit yourself to this particular style. Unposed, candid moments also have great potential for cards, particularly if they share something unique or interesting about the subject captured. Consider also the message that you wish to send. Most people who receive holiday cards are looking forward to seeing what everyone looks like or how much the kids have grown or learning of exciting news from the past year. Photographs from a recent trip or vacation are great, but showcasing each of your children on a different, exclusive vacation can send more of a message of bragging than of catching up with old friends. Think about the kinds of photographs you would want to receive and use that to help guide your choices. Printed and framed photographs or canvases can make great holiday gifts. There are many sizes and options available. The most common issues to consider with prints are the size of the print and the resolution of the image. My DSLR, for example, shoots at an aspect ratio of 2:3, which means that if I wanted to create a 4 x 6 inch print, it would be exactly right, and I would not need to crop the image. 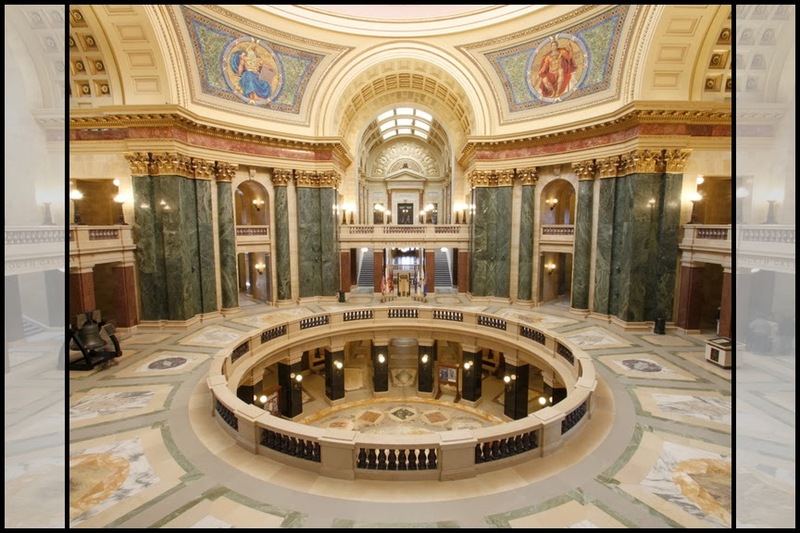 If I wanted to create an 8 x 10 inch print, however, the aspect ratio of my original shot would scale up to an 8 x 12 print, which means that I would need to crop the equivalent of 2 inches off the longest edge. Read more about Aspect Ratio: Know Before You Crop. Gray shaded areas show what would be cropped going from an 8 x 12 to 8 x 10 print. The second important factor to consider with prints and canvases is the resolution of your original image. Resolution refers to the number of pixels and how those pixels are divided when printing the image at a specific size. The confusing thing about resolution is that people often discuss resolution in terms of DPI. DPI refers to dots per inch or the number of pixels printed within each inch of a printed image. The problem is that DPI contains two variables: the dots (pixels) and the number of inches. You can only know the DPI of a specific image IF you know the size you will be printing it at (the inches). For example, let's say that you have an image that is 2400 x 3600 pixels. The industry standard is to recommend a DPI at or above 72, while 300 dpi is a general recommendation for a high quality print. If you print an image at a large enough size that the DPI falls below 72, then you may start to notice pixilation (the presence of individual pixels) in the image. The chart below can be used as a guide for what size of original image you would want to have in order to print it at the sizes below. For larger prints, there are a variety of formats available. You can print an image as a poster print, which will require a frame to display. Images printed on metal often come with their own means of hanging and do not require a frame. You can also print an image as a wrapped canvas print that is hung on the wall by itself. Canvas prints are printed at a larger size than the final image and then wrapped around a wooden frame (often an inch or so in thickness). You need to factor in that wrapping area when choosing an image. If you have something important too close to the edge of the print, it will be wrapped around the edges and not visible when viewing the canvas from the front. There is now a growing collection of other ways to display printed photographs beyond basic prints or canvases. These include desktop display plaques, photo cubes, ornaments, and even wall decals. Different retails offer different options, which will be covered in more detail in the next article. There are a wide range of other products that you can personalize with photographs. Many of these products offer a wide range of customization including colorful borders, backgrounds, designs, and text to accompany your images. Calendars are a great gift idea, as they are functional and used throughout the year. Most calendars can be designed with one photograph per month or a collage of images. You also have options for customizing the look and style of the calendar itself and for adding personal facts on specific days. You could create a calendar of extended family birthdays and send one to each family or fill a calendar full of funny memories linked to specific days. Many programs will even save this information to your account so that you can reuse it for future calendars. There are many accessories for your table that you can make out of your photographs. Coffee mugs are a useful daily item and a creative way to remember a special vacation or a favorite moment. Plates and placemats are functional as well as decorative. Consider making plates or placemats that also celebrate a special season or holiday. Bringing them out at only certain times of the year will help make them more special and fun to use. Blankets and pillows can turn your photographs into flexible and functional decorations. You can create a cover for your iPhone, Samsung phone, or a tablet. There are so many different options available for fun photography projects, that you can really tailor your gifts to the recipient. Think about objects or displays that they would be most likely to use or appreciate, and choose your images and designs accordingly. The final photography gift is the time-honored photo book. Rapidly replacing the standard binders full of plastic sheet-pockets of photographs, photo books allow you to widely customize and individualize your photographs. Photo books are available in a wide variety of sizes and styles, and most retails offer a large range of customizable options. You can upload an album's worth of photographs and have them inserted into a book automatically, or you can choose your own design template and individually place and arrange each photo and piece of text. Photo books are a great project to work on gradually, as it can be overwhelming to try and put together all at once. Most retailers allow you to save your projects in process and work on building your book up over time. Consider also narrowing the scope of your book to a specific length of time, holiday, child, or other organizing principle. For example, each year I make a photo book that features the 365 daily photographs that I have taken during the past year as part of my 365 project. Doing the book about a month or two at a time as I go along makes it much easier to wrap up after the year has ended. There are many possibilities for using your photographs to create lasting holiday gifts for yourself and others. Holiday cards are a great way to share an update with friends and family. Prints and canvases get your photos off of your computer and up on to your walls. Other photography gifts allow you to create and customize a wide variety of daily life and display kinds of items. Finally, the photo book preserves your memories in a printed, concrete form that is ideal for sharing and reading with others. 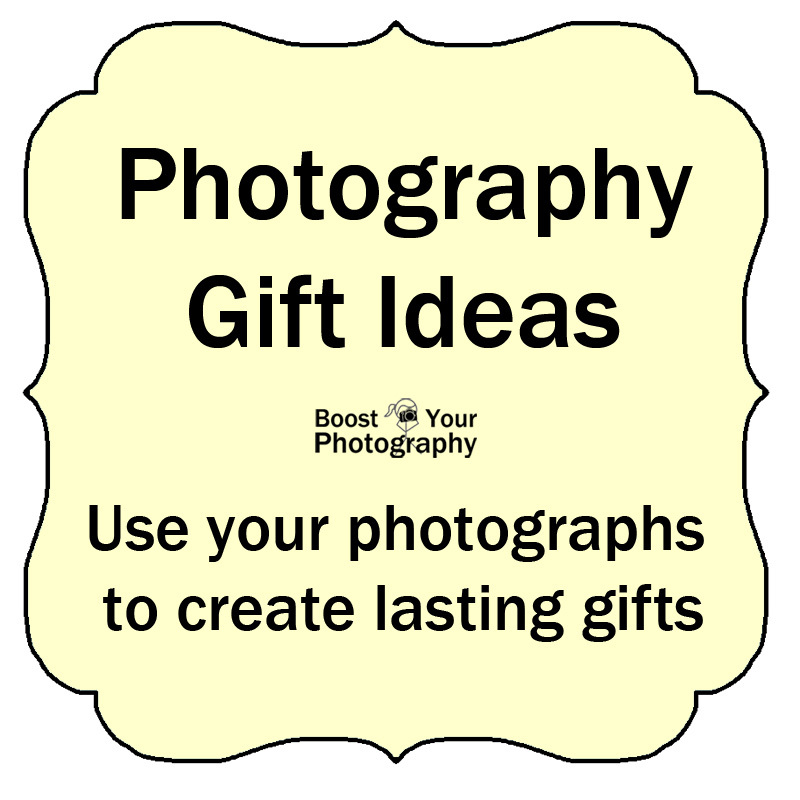 The next article will cover some of the common online retailers for photo gifts and products to get you started creating great photography gifts.